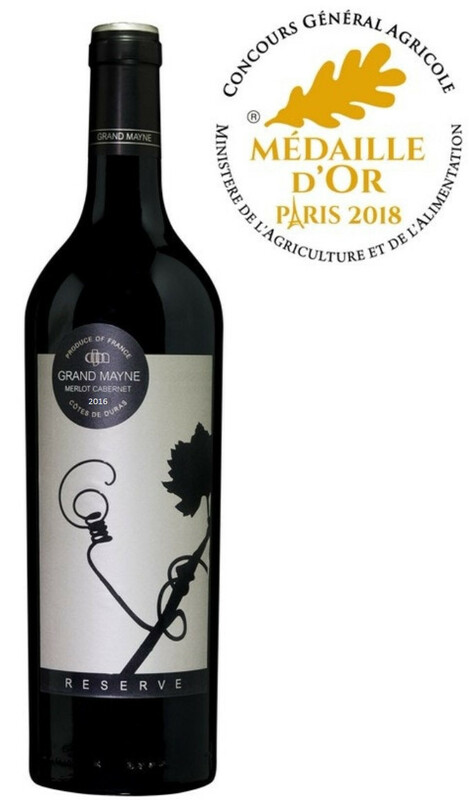 One of the many benefits of us being in the little known Cotes de Duras is that we can’t charge the high prices of our neighbours in Bordeaux despite the fact that we think our wines are as good if not better. Nowhere is that more evident than in our Reserve oaked red. Fermented in stainless steal tanks then aged for 12 months in French oak. ¼ was new to ensure that we didn’t overpower the natural fruitiness of the wine. Nocturnal harvest, with selective sorting. Individual plot selection. Cold pre-fermentation maceration. Long maceration. 12 months maturation in barrels (1/4 new). A lovely balance between richness and finesse. Rich body softened by subtle flavours and tannins. This wine is a teddy bear. Strong and powerful with a great sensitivity and an unctuous and transparent texture. Wonderful easy drinking wine with a flavour and style that would suggest a much more expensive vintage. Versatile and great value for money. The service is Brilliant. The wine is superb & it is excellent value for money. What's not to like?